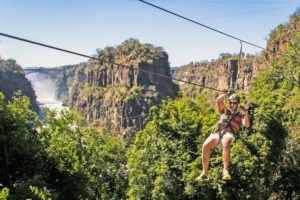 "The town by one of the Natural Wonders of the World"
Located on the border between Zambia and Zimbabwe and fed from the Zambezi River, spectacular Victoria Falls is not to be missed. 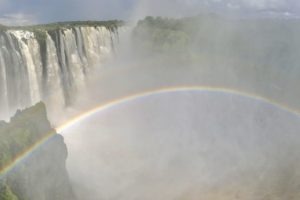 Cascading 100 meters across an expanse of two kilometers it is twice as wide and twice as deep as Niagara Falls, and is often referred to as the greatest curtain of falling water in the world. 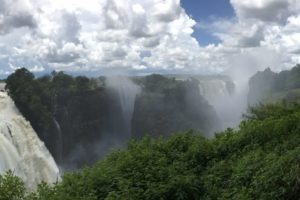 The power of the falls is so mighty that it was described by the Kololo tribe living in the area in the 1800’s as ‘Mosi-oa-Tunya’ – ‘The Smoke that Thunders’. As a rain fed-river, the levels of the Zambezi vary throughout the year effecting the flow of the Falls. 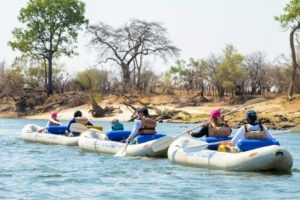 The river is generally at its lowest in November / late December, with the water of the Falls tending to be highest on the Zambian side where it is deeper. 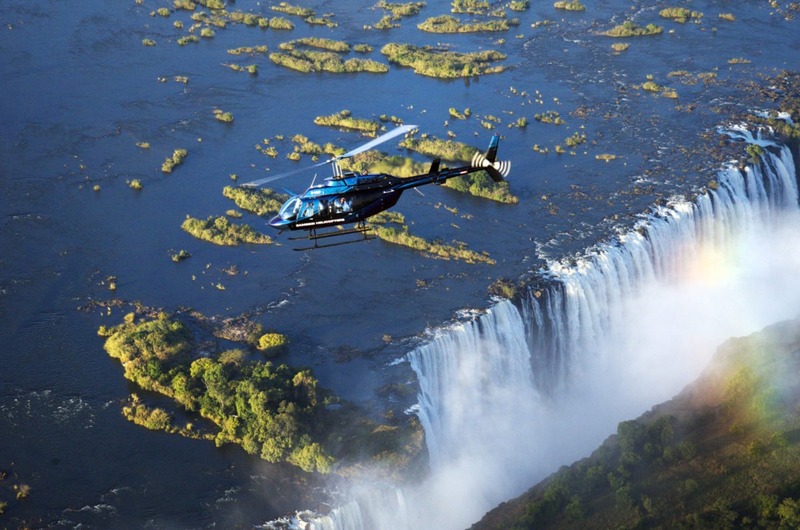 It is then at its highest around April / May when the entire Falls is a thundering wall of water offering a spectacular backdrop for visitors, although keep in mind that spray from the Falls can sometimes obstruct the view – a helicopter ride or microlight flight over the Falls can be a good antidote to this! 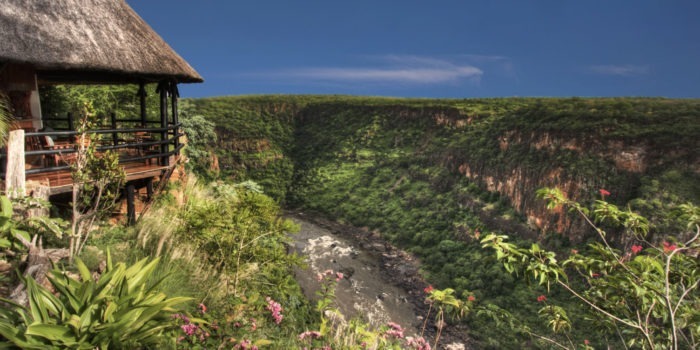 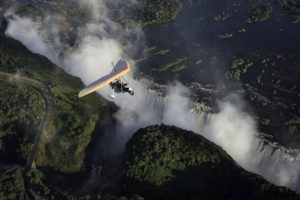 It is worth considering the water levels when deciding when to visit Victoria Falls however regardless of your timing there is truly something for everyone all year, whether you’re an adrenaline junky looking for some fast-paced adventure to round out your African adventure, or if you’re looking for a quiet way to see out your safari. 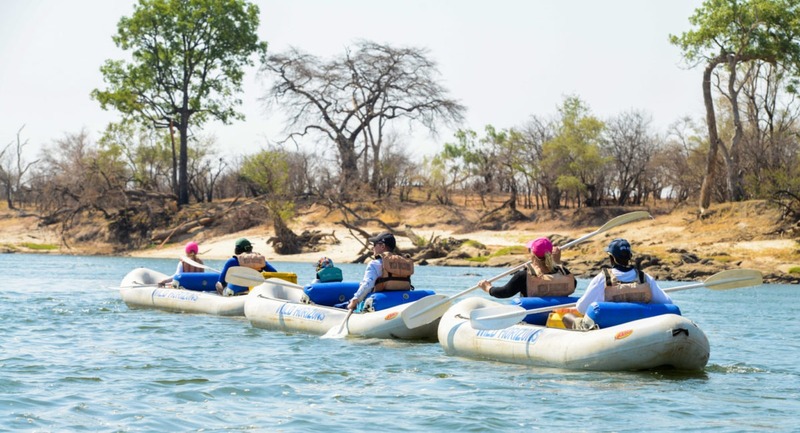 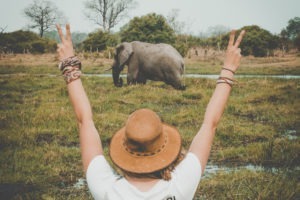 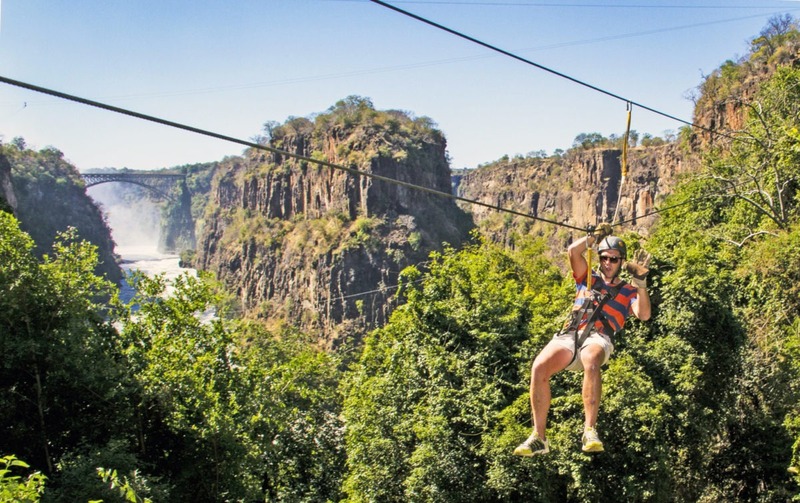 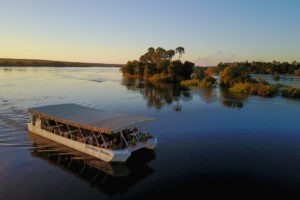 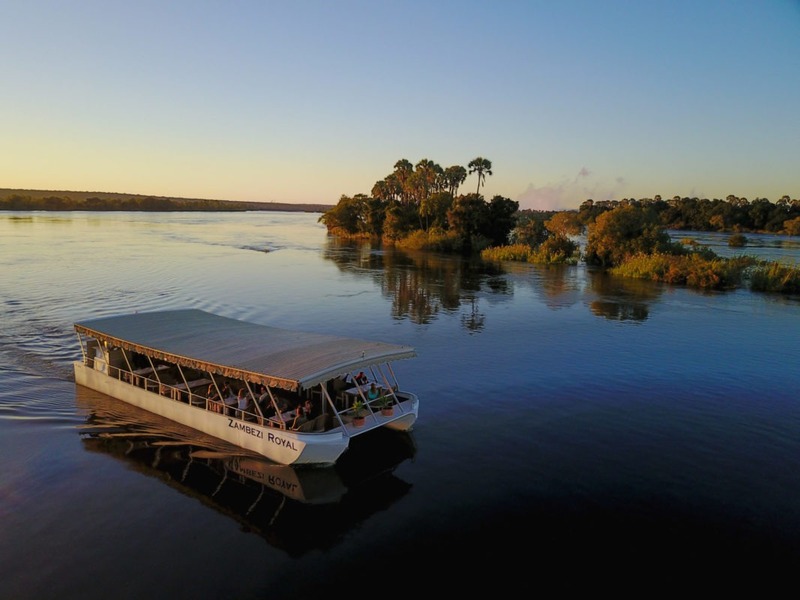 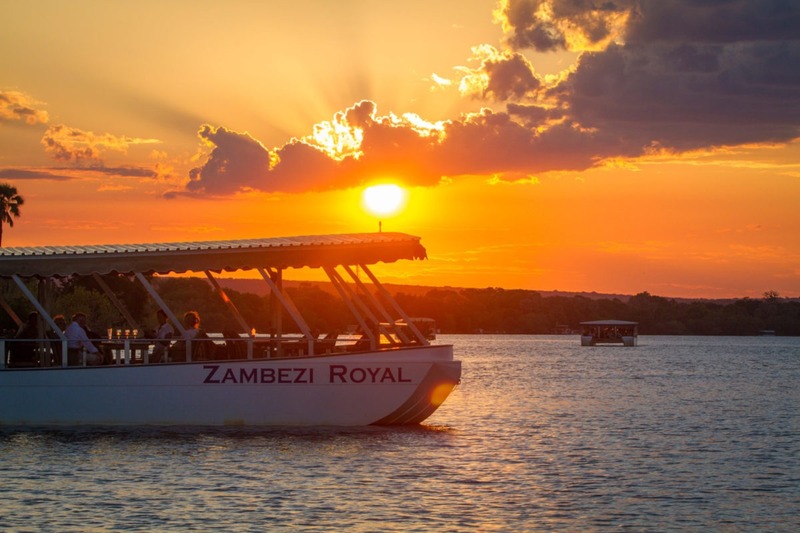 From white water rafting, bungee jumping and croc cage diving to a romantic sunset cruise down the Zambezi, Victoria Falls pretty much has it covered. 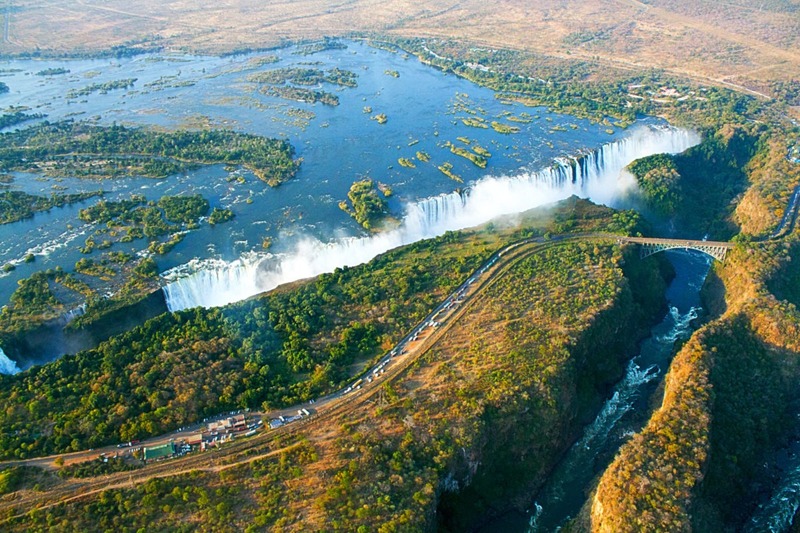 One of the Seven Wonders of the World, it is a ‘bucket list’ destination. 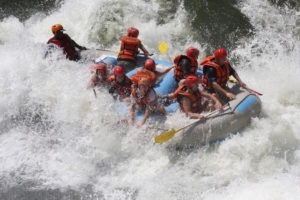 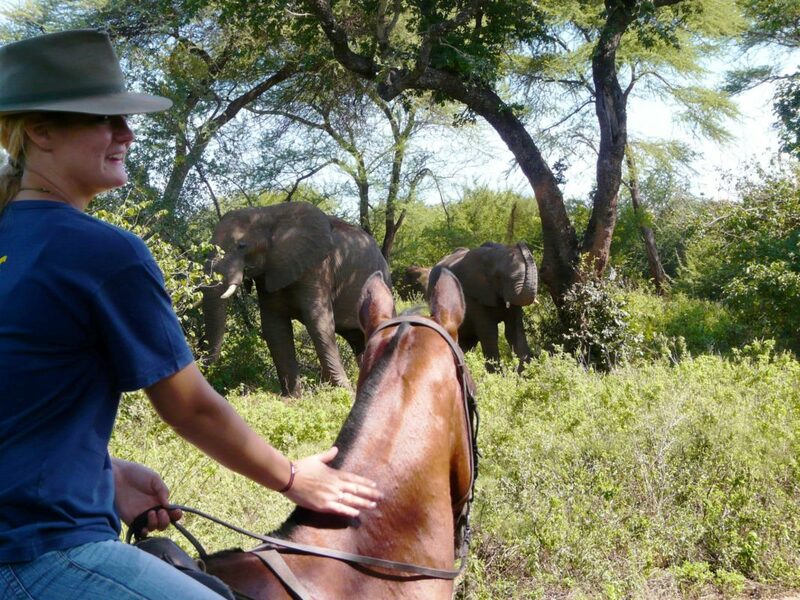 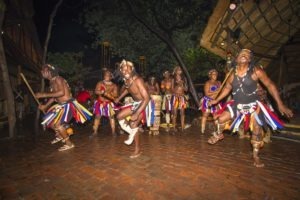 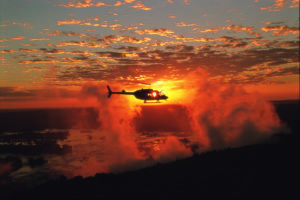 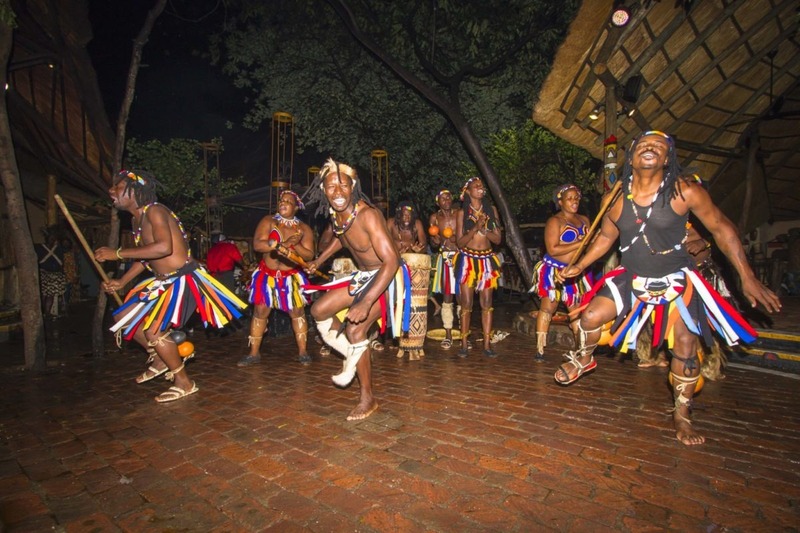 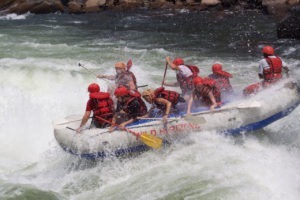 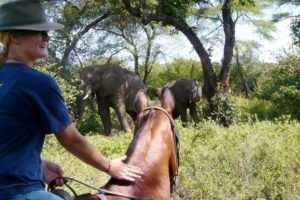 Adventure capital of Africa with lots of adrenaline packed activities on offer. Spectacular backdrop to capture incredible photographs. 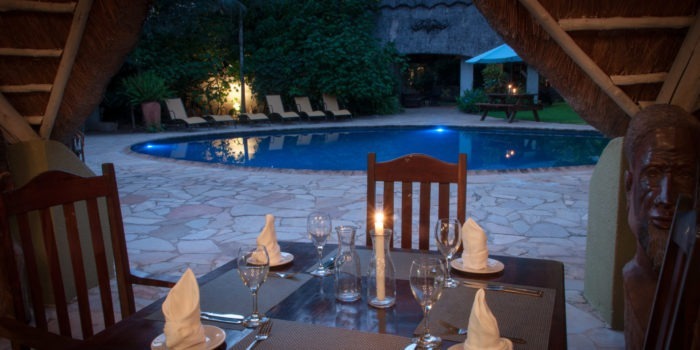 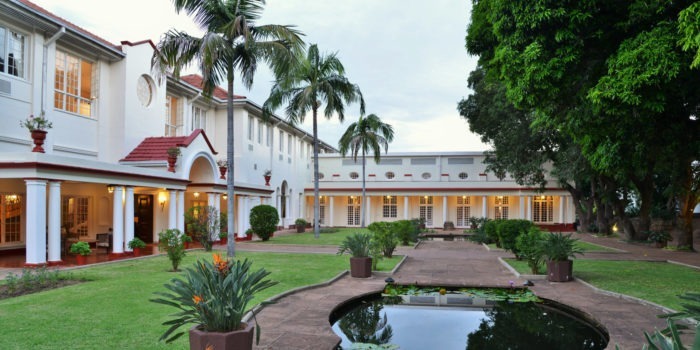 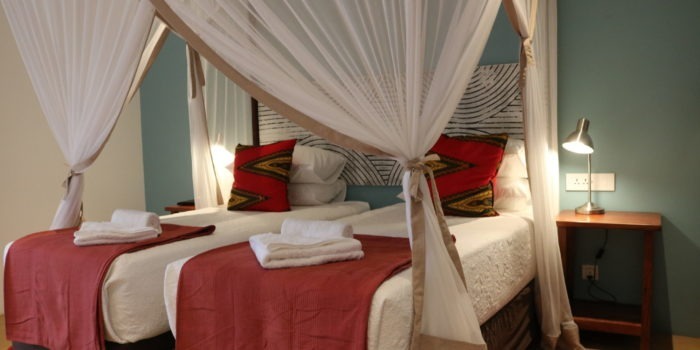 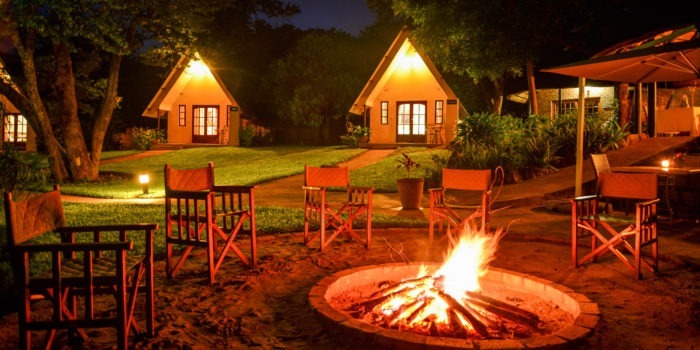 Easily accessible and lots of accommodation options make it the perfect location to end any safari. 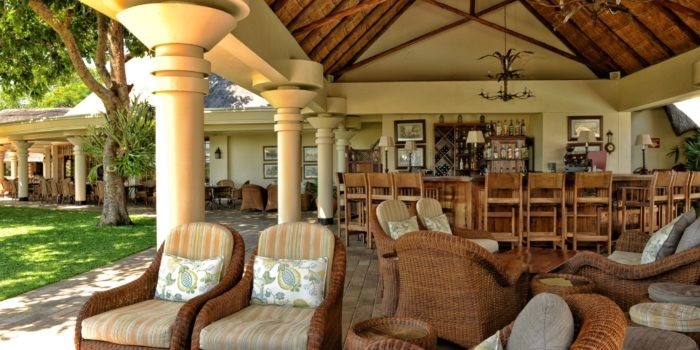 Funky new vibe in town with some cool spots to hang out.